Short update tonight. 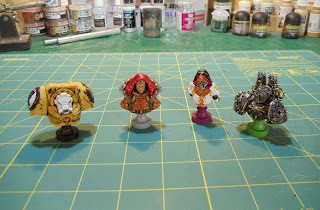 I recently finished the 4 new busts for the new Relic: Halls of Terra expansion. From left to right: Imperial Fists Terminator, House Belisarius Navigator, Sister Hospitaller and Chaos Iron Warriors Warpsmith. Also yesterday saw the arrival of my Warfighter Wave 2 box. 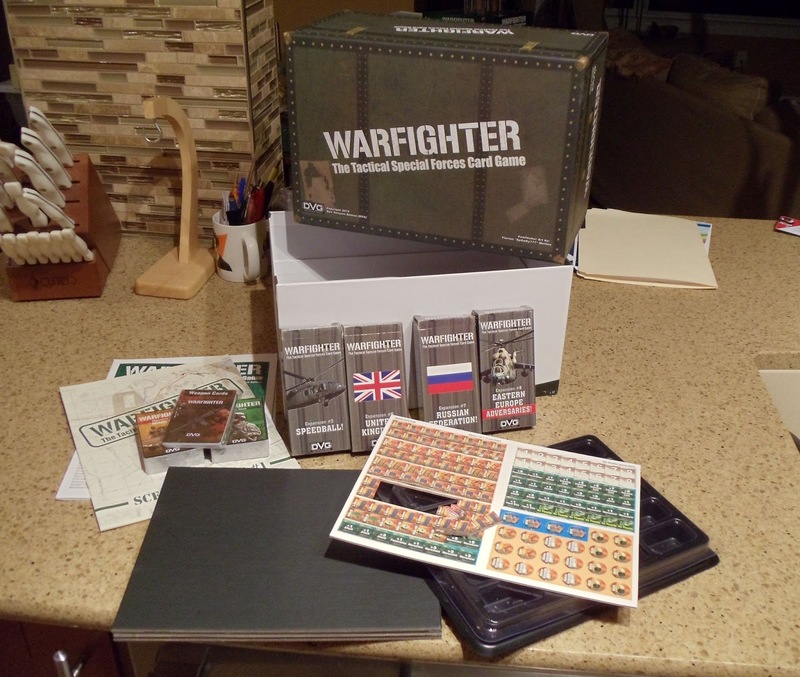 This wave produced a hard backed board, more counters, counter tray, expansions for Eastern European adversaries, player cards for the Russian Federation and for the U.K. and assorted cards for night fighting. And it all came with this nice solid "footlocker" to put everything in. On my paint table right now is 2 more batches of Carthaginans (1 should be finished tomorrow), and some more figures for Retro Raygun. 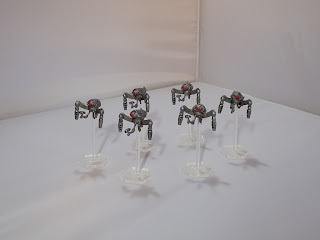 Today I finished up a number of figures for All Quiet on the Martian Front. 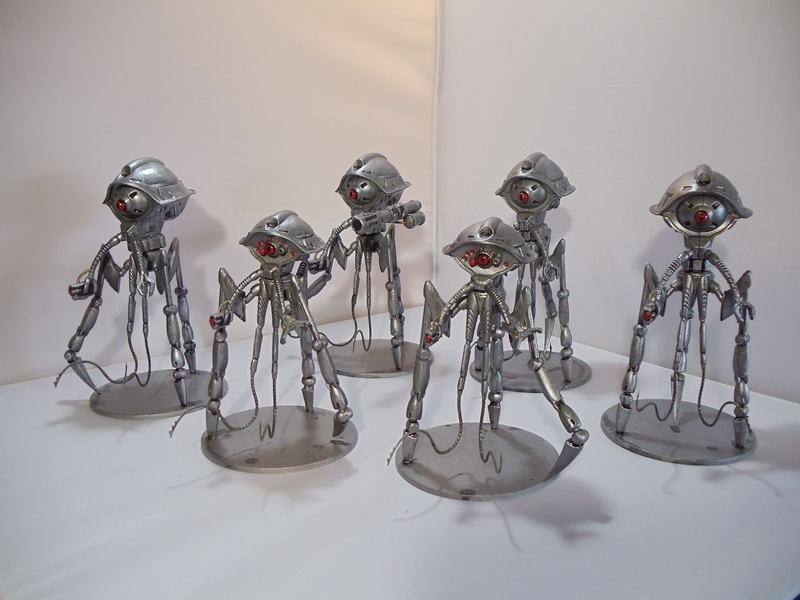 First up is a group of 6 Martian tripods. 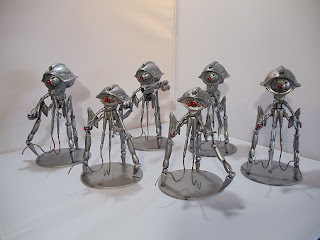 These are 4 Assault tripods and 2 Scout tripods. These figures belong to Terry and he has asked me to leave the bases unfinished. 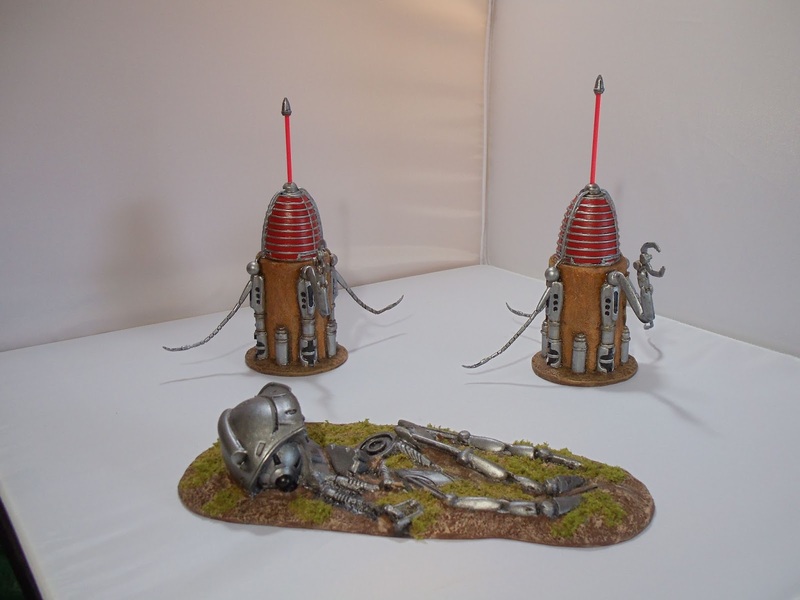 Also completed are these 2 Martian Power Nodes and a downed tripod. Finally there are these 2 units of Martian Hover drones. 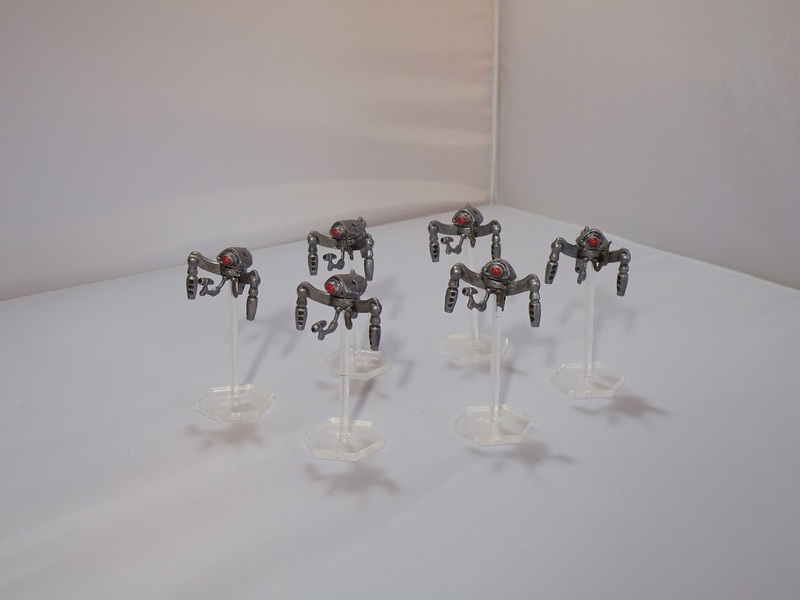 These figures came with metal bases and posts, which I didn't like, so I ordered some clear flying stands from Litko. They look considerably better but they are very top heavy, so I'm going to have to find something heavy to attach to the bases. Next up on my paint table are the 4 new busts for the Relic board game expansion: Halls of Terra and a number of Carthaginian infantry.